Mobilization of gold help by Indian institutions and households. Making the preserved gold to jewelers and banking institutions. Reduction of India’s gold imports through mobilization of existing gold. Converting the gold of the customers into a secure performing asset. Simply put, government wants Indian institutions and households that stash gold to give away the gold to government against an interest earning. This gold will then be taken by government and circulated in economy to reduce gold import burdens. So, the gold becomes an investment vehicle for those who hold it at home or at institutions. Gold owner (can be households or institutions) need to approach a bank and open a Gold Savings Account. They need to hand over the gold (usually in form of jewelry and coins) to Assaying centers. These centers will then assess the purity and provide a receipt to the owners. These Assaying centers will then inform the banks about the gold value that needs to be credited to the Gold Savings Accounts of the customers. At this point, the banks will send the collected gold to refineries where the jewelry will be melted and stored in form of bricks. The refineries will then be responsible for sending the gold bricks to jewelers whenever instructed by banks. The banks will not really sell the gold to the jewelers. They will simply loan out the metal to the jewelers who will later need to repay the bank with interest. Since the Gold Savings Accounts act as investment accounts for original owners of gold, there will be a maturity period. Once the period is over, bank will return the gold to the owner along with interest. The interest will be in kind and not cash. This means that the interest will also be paid out in gold. Indian households and institutions hold nearly 20,000 tons of gold. 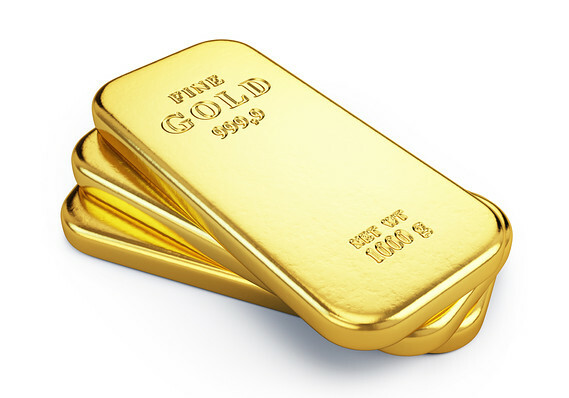 The total value of this gold reserve is $1 trillion (US Dollars). $1 trillion makes up more than 50% of the nation’s GDP (Gross Domestic Product). Mobilizing and monetizing even a small percentage of this mostly-unused gold reserve will significantly reduce India’s gold import requirements. When this happens, more money will be available in market to boost up Indian economy. The increased liquidity can be diverted towards other causes like healthcare, education, agriculture, transport infrastructure development, repayment of international debt etc. What are the benefits of GMS for end users? As low as 30 grams of gold can be deposited. There will be no income tax, wealth tax or capital gains tax levied on the Gold Deposit Accounts. Interest Rate on GMS would be 2.25% to 2.5%. How do the banks intend to utilize the accumulated gold? Lending to Jewelers: Banks can lend the metal to jewelers and earn interest on that lending. Additionally, lending the gold to jewelers will help reduce the total gold import. As import bills are dragged down, the Current Account Deficit (CAD) of government will be reduced. CAD occurs when total value of imported services and good is greater than total value of exported services and goods. CAD means that the country is using international financial aid to operate. This is a liability and eventually needs repayment. So, excessive CAD is bad and reducing CAD is good for economy. Invite Foreign Currency Inflow: Banks can actually sell the gold reserves to other countries and invite Foreign Currency in country, not in form of a debt but in form of earnings. A steady reserve of foreign exchanges will help to stabilize Indian currency value and hence, make it stronger against other currencies of the world. Use Gold to Meet CRR and SLR Requirements: CRR or Cash Reserve Ratio and SLR or Statutory Liquid Ratio are two basic requirements that banks need to fulfill in order to stay operational. These are actually cash reserves that banks need to maintain with RBI to deal with sudden liquidity mismatch and prevent bankruptcy. It has been proposed that banks be allowed to maintain CRR and SLR using the mobilized gold. This will allow banks to circulate more money in economy, which will provide the much needed impetus for economic growth. What are the problems with Gold Monetization Scheme? The affinity for gold among Indians is not because of the monetary value it holds. It is purely cultural and emotional. Indians will be reluctant to see their valued gold melted and lent or sold. Particularly in South India, gold jewelries are heirlooms. This is going to be a major trouble. A person depositing the gold possessed as heirloom will not have proper documents to prove that the gold belong to him or her. This is where black money and white money comes into play. Some may produce legitimately owned gold. Others may present illegally acquired gold. There will be no way to tell the difference in absence of proper document. Thus, government will actually open up a way for frauds to convert their black wealth into white money. Banks intend to pay interest to depositors in gold and earn interest from jewelers/borrowers in cash. Earning in cash and paying in gold creates the risk of significant mismatch that may eventually lead to catastrophic results. International Basel norms may not permit the banks to make CRR and SLR deposits in gold and RBI isn’t much comfortable with the idea of gold deposits for CRR. This is because CRR is meant for dealing with liquidity mismatch and using gold as CRR will lead to extreme volatility because of gold prices changing continuously. There may be instances when drop in gold prices may lead to drop in CRR. The minimum CRR requirement is 4% and RBI is not very keen on risking this. The aforementioned problems are quite serious and government needs to address them properly before rolling out the Gold Monetization Scheme on a grand scale. A similar scheme already existed before the GMS was proposed during Union Budget 2015-2016 with the only difference being the minimum deposit requirement that was set at 500 grams. Government will also be launching first ever Ashok Chakra Gold Coins. Initially it will be of 5 gms and 10 gms. Cost of these coins will be lesser then market price. Where do I deposit gold in Navi Mumbai/Thane, Maharashtra?